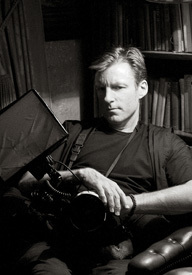 Jason has been a photographer since 1995, working for magazines within the music and dance culture industries and freelancing in portraiture photography. His work reflects a great passion for photojournalism and reportage with a definite twist of fine-art which gives much of his imagery a narrative of its own. While pushing the edges of creativity he also works discreetly, recording your day but never controlling it. He follows a personal ethic that wedding photography is about observation, not orchestration, and this ability and commitment to step back and watch rather than intrude make his images distinct, personal documentaries of individual, often highly intimate emotions. 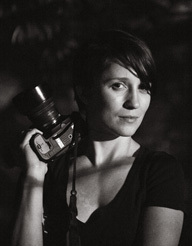 His deep understanding and control of natural light and flash photography, along with his largely unposed framing and composition have allowed him to develop a crisp, uncluttered and uniquely personal style of wedding photography which distinguishes him from many mainstream wedding photographers in the UK. Aga studied photography at Lodz in central Poland and shares Jason’s tremendous passion for portrait and photojournalism photography. Her feminine angle and individual shooting style brings a variety and texture to the overall projects. Her relaxed and again discreet approach often makes morning bridal preparation a fun, less stressful part of the overall event. Aga is also the company’s business manager and liaises closely with clients leading up to and beyond their wedding. Jason and Aga shoot weddings all over UK and abroad from castles, large houses, unique London locations to small domestic venues. They are sought after by clients who want a fresh, imaginative approach to great photography without disrupting the overall flow and dynamics of this unique and personal occasion. Jason and Aga’s photographs are cherished by many clients and very well regarded by the wedding industry itself, being highly commended in 2008 and 2009 by Wedding Ideas Magazine.